Defying stereotypes, Inventi Ensemble are equally at home premiering works at a new music festival, performing in Australia’s finest concert halls and chamber music series, playing Bach from a 3-tonne truck in a pop-up venue, or introducing new Australian music to young children in library storytime projects. 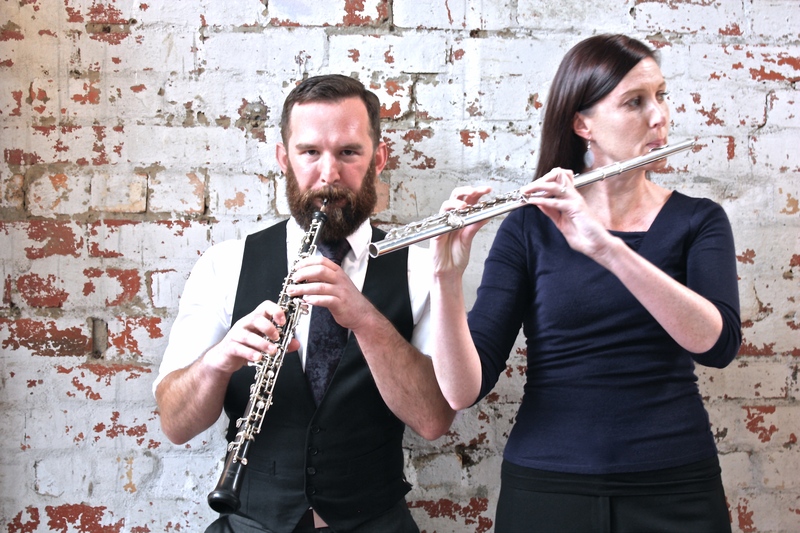 Splashing onto the Australian music scene in early 2014, Inventi Ensemble is run by Artistic Directors Ben Opie (oboe) and Melissa Doecke (flute), drawing together Australia’s finest soloists and chamber musicians who are passionate about performing and commissioning Australian music. Inventi Ensemble have just released their debut album of works for flute, oboe, violin, viola and piano.